Jonathan Foreman, Tim Zinnemann, Maria Cooper, Lee Clark Mitchell, Stephen Prince and M.Z. Ribalow. INSIDE HIGH NOON, a documentary explores both the remarkable 1952 film and the gripping story behind its troubled production. The real-life events behind the making of HIGH NOON make for rich drama, indeed. When released, HIGH NOON was seen as an attack on HUAC. However, this means little to an audience today. INSIDE HIGH NOON examines with fresh insight what makes HIGH NOON timeless, and why it works so powerfully still, over 65 years after its release. For many people, HIGH NOON is the western. For others, it is simply one of the greatest films of all time. A genuine masterpiece. It is has been viewed in the White House more times than any other film. It was President Dwight D. Eisenhower’s favorite film, as it is former President Bill Clinton’s. Former Japanese Prime Minister Koizuma cites it as his favorite film. The list goes on. But this low-budget — $750,000 — independent film has had a rocky road to its classic status. Virtually every studio turned it down. Seemingly half of Hollywood’s leading men turned it down. And its initial preview was an utter disaster. 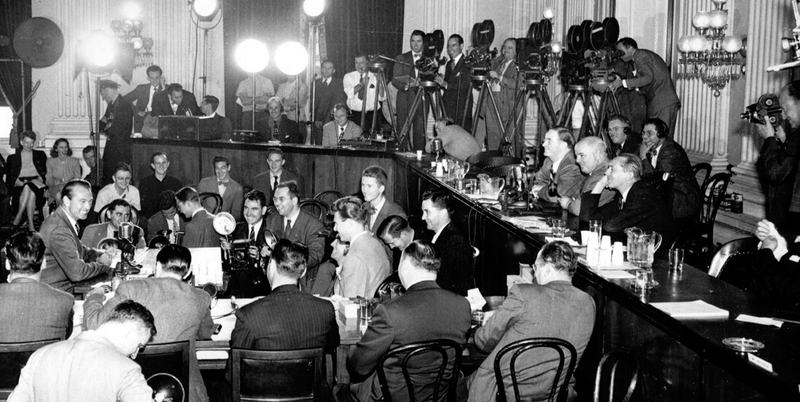 The House un-American Activities Committee was in overdrive in 1951. And High Noon was in its cross-hairs. 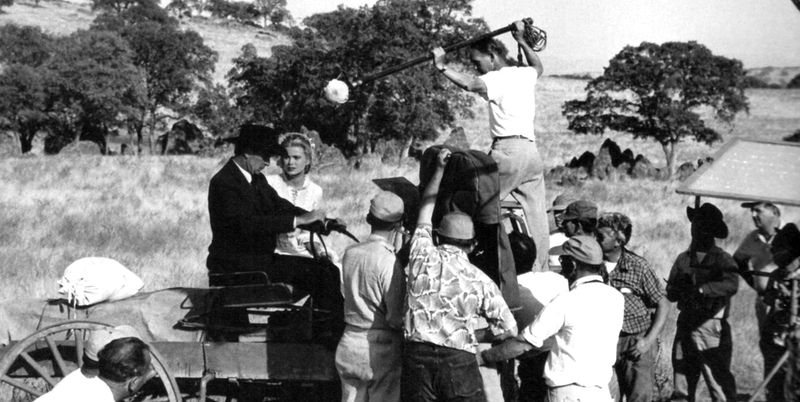 At least half-a-dozen people involved in High Noon were blacklisted; among them, screenwriter Carl Foreman and cinematographer Floyd Crosby. The real-life story behind the making of HIGH NOON is dramatic, suspenseful, gripping. Like the film itself, it is a story of fear, of heroism, and the very real danger of political abuse. What happens up on the screen is in many ways a metaphor for the extraordinary events behind the camera. Why it has aroused controversy among critics. Why its treatment of women was far ahead of its time. Why its treatment of masculinity was far ahead of its time. Why it has remained popular decades and decades after its release. Indeed, why High Noon is the masterpiece it is. 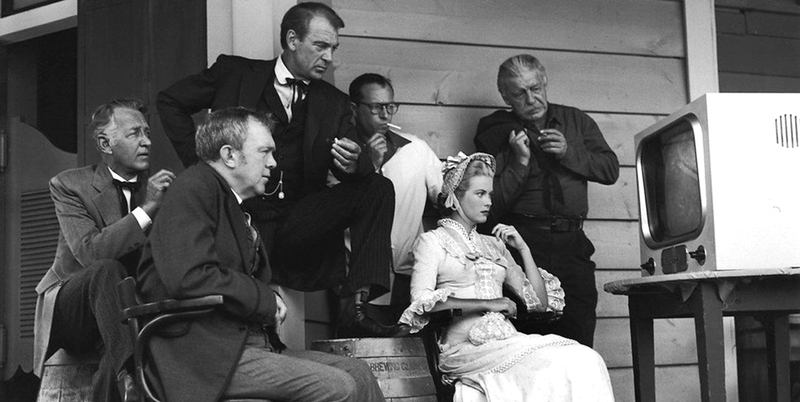 production history, cultural legacy and political subtext"
STARRING: GARY COOPER • GRACE KELLY • KATY JURADO • LLOYD BRIDGES • HARRY MORGAN • LON CHANEY, JR.
Gary Cooper wins his second Best Actor Academy Award for his performance as Marshal Will Kane in High Noon, arguably his finest role. The Best Film Editing Oscar was awarded to High Noon in 1952, for the film editing team of Elmo Williams and Harry Gerstad. Composer Dimitri Tiomkin earned the Oscar for Best Film Score which was presented to him by Walt Disney. Dimitri Tiomkin and Ned Washington won the Academy Award for the title song, “Do Not Forsake Me Oh My Darlin”, performed by Tex Ritter. Inside High Noon offers numerous ways to stay informed and engaged with us on social media. Join our different communities and stay in the loop with news, events and thought-provoking information. We are waiting for you! Here are a few quotes from critics and viewers who are celebrating the documentary ‘Inside High Noon’. This awesome program dissects the cultural resonance of the picture–including negative reactions and alternate interpretations–and its tightly designed storytelling, with its step-by-step structuring. ‘Inside High Noon’ wonderfully encompasses the film’s creation and value in a tightly edited fifty minutes. The behind the scenes tale is told, but at least half the Frank Langella narrated documentary is devoted to the film’s importance in the greater pantheon. ‘Inside High Noon’ on Lionsgate’s new “Ultimate Collector’s Edition” DVD, thoughtfully presents commentary from Bill Clinton regarding his admiration for Gary Cooper’s Kane and the character’s sense of duty in the face of abandonment by those around him. Remembering Katy Jurado on what would have been her 94th birthday.